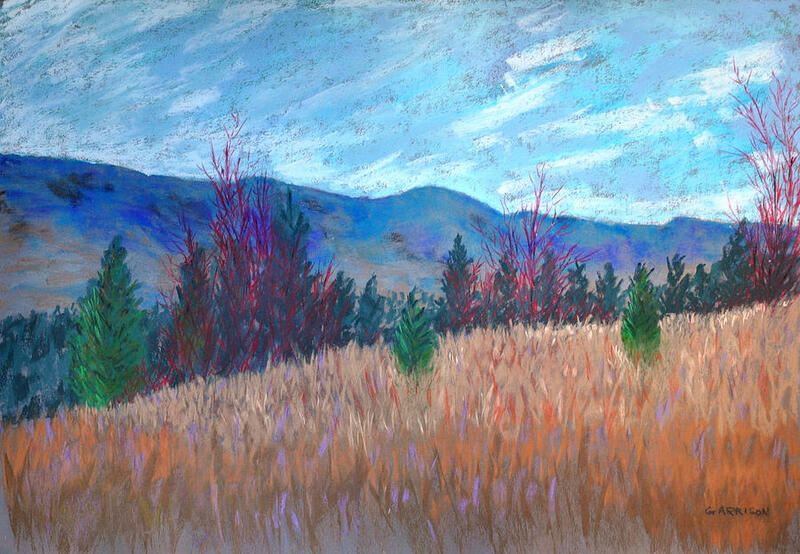 South Kelowna Vista is a pastel by Marina Garrison which was uploaded on February 27th, 2010. The Okanagan Valley region of British Columbia is surrounded by mountains in all directions. It is virtually impossible to paint a landscape without including the mountains as a key feature. Nice area for a walk. Great capture.